The IAAI welcomes your input. 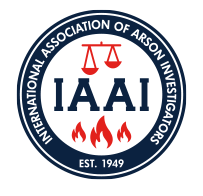 As a member-focused professional organization, the ideas, energy, and hard work of our Members drives not only the development of the IAAI, but also of the fire investigation and allied professions. In many cases, Member ideas have spurred working groups, research, activities, courses, and initiatives. The IAAI appreciates the time you take to bring your ideas to the floor; please take just a moment to let us know your idea and we will respond. Are you an IAAI Member?